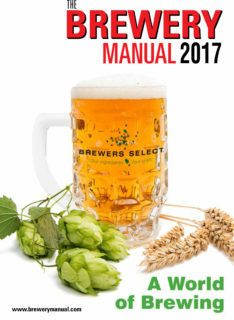 I would definitely agree with the statement that, “The industry has been due for a correction”, and yet whilst reading through the Brewery News section, in a local CAMRA magazine - “Channel Draught” from Dover, Deal and Sandwich, I noticed there were at least 10 Kentish breweries which I didn’t recognise. Kent already has too many breweries in terms of the number of genuine free-trade outlets, so these new start-ups seem economic madness to me. I did get the impression though, that many of these newcomers are either brew-pubs or the proverbial “man in a shed” brewery. Whilst the enthusiasm of these new entrants to the trade is not in dispute, I do wonder where all this beer is going to end up? Discounting is one way, but that is the route to the poor house, so is what we are currently seeing in Kent, the last gasp in terms of brewery expansion, or is there still a genuine demand for yet more breweries? It's odd, isn't it? Some will sell the beer themselves, I guess, but others will struggle on, running up debt, before eventually shutting up. The other aspect is 10 new breweries there presumably means a few less somewhere else. Other men-in-sheds selling up? I think some of these new start-ups are concentrating mainly on bottles beers, selling them at farmers' markets and the like. This is pretty much a niche market though. As for some of the existing micro's throwing in the towel, I'm not aware of any closures yet, but I really can't see a viable and sustainable future for them all. Maybe the closures aren't in your area, but my impression is that for every micro that sets up with a new brewkit - often with just a 200 or 500 litre kit - there's another that's bought kit off a closure.